Currently, a lucrative rental, this investment property is located in a commercial zone and provides numerous opportunities. 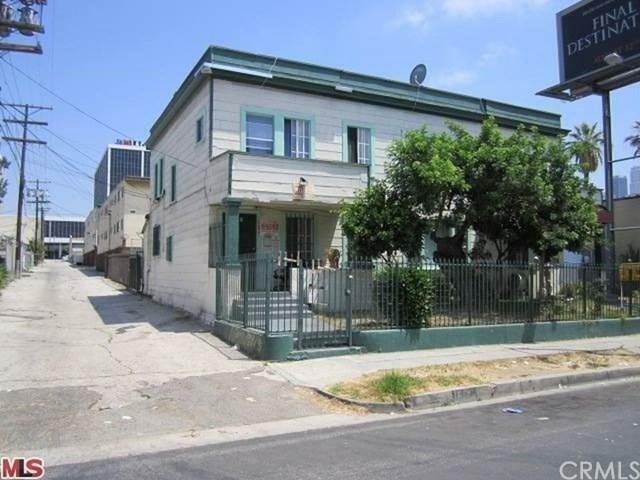 The property is ideally located next to a newly built elementary school and near the Staples Center, LA Live and the Convention Center. Its owner can choose to keep the units as long-term rentals, convert it to Airbnb units, or even develop it for a business downstairs and offices upstairs. The owner makes an additional $1,500 a year with a billboard contract.Featuring beautiful hardwood flooring, the property is currently designed as 6 permitted long-term rental units. Downstairs, there is a 1600-square-foot unit with 2 bedrooms, 3 bathrooms, and a kitchen. Upstairs, the units provide a dorm-style living, with 5 separate permitted units sharing 2 large bathrooms. Two units enjoy airy doors leading to balconies.